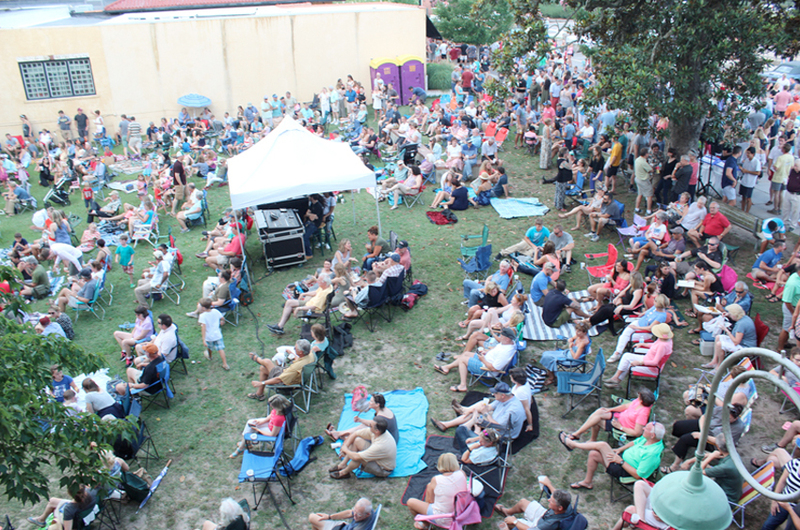 “First Friday” is a monthly community nonprofit event, for people of all ages in the Southern Pines area. As “First Friday” is a community event, it will be provided for through sponsorship and volunteer effort, will be free of charge to the public, and will be family-friendly. Participants will have access to food, beverages, live music and other forms of entertainment, which will enhance the enjoyment of each occasion. Come join us the “First Friday” of every month from May through October at the grassy knoll adjacent to The Sunrise Theater.